I thought a disclaimer was in order — I didn’t eat everything on the table. 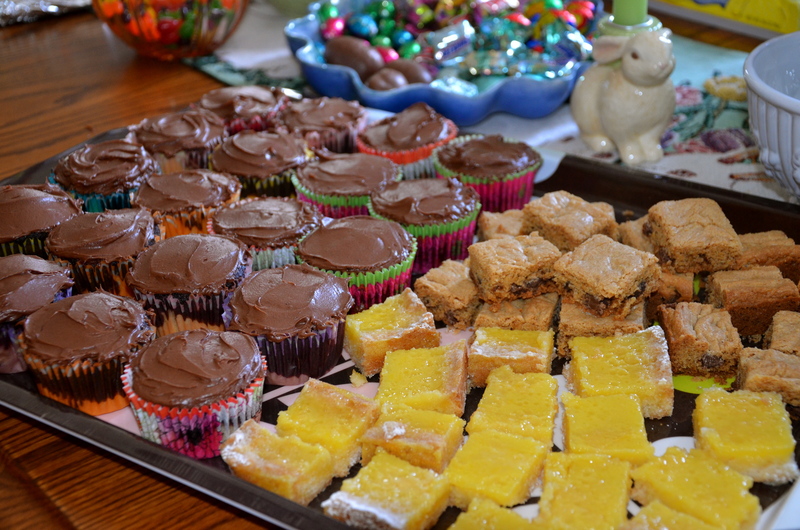 Although it was tempting, I sent home this tray of goodies with my brother-in-law and niece to enjoy. So this morning I got up at 5am, made my way back to the gym — I sort of forgot where it was located since the honeymoon — and got back on the treadmill. But that’s not why we’re here. We’re here to talk easy-peasy Monday meal ideas. 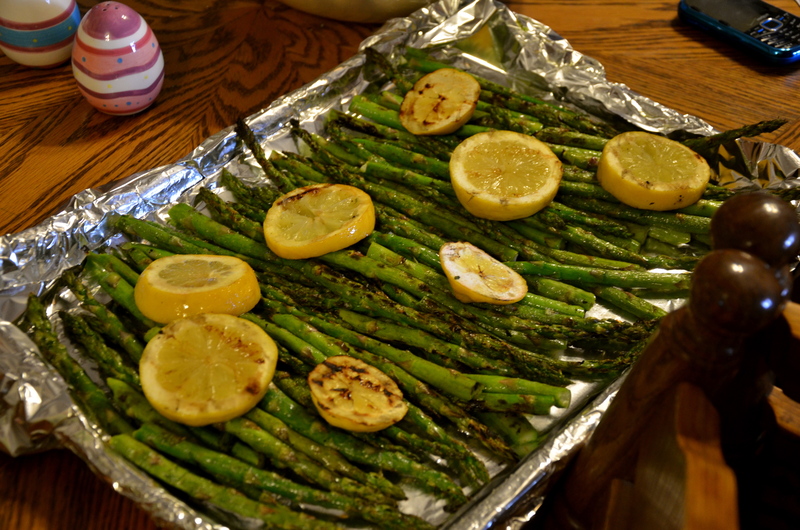 And to show you our real contribution to Easter dinner — grilled asparagus with lemon. Bust your grill out of the garage and start it up, medium heat is fine. *Side note* Grilling can be perfect for gluten-free purposes, even on other people’s grills. An easy way to clean a grill off, so it is safe for you, is to heat it up to high heat and burn off all the gunk that gets stuck on the grate — and foil works great for cleaning the grate. It’s safer than using someone’s grill brush. (and cleaner too, those things can get pretty gross!) We’ve been to plenty of cookouts where friends have saved a corner of the grill for me to safely cook my goods. Lay asparagus out onto a baking sheet in a nice layer. Coat evenly by drizzling olive oil on top. You don’t need them dripping with oil, but you want to coat them enough that they don’t stick to the grill. Salt and pepper generously. On a separate plate, lay out your lemons and drizzle a bit of olive oil on them too — same idea, we don’t want stuck lemons. You can choose a fancier looking serving tray than the one pictured — we were hungry and the fam was waiting, so we went straight from grill to table. They taste good either way. And if you are grill-less… you can roast them in the oven too. Tonight we are going to clean out the fridge/freezer with some shrimp stir fry over brown rice. 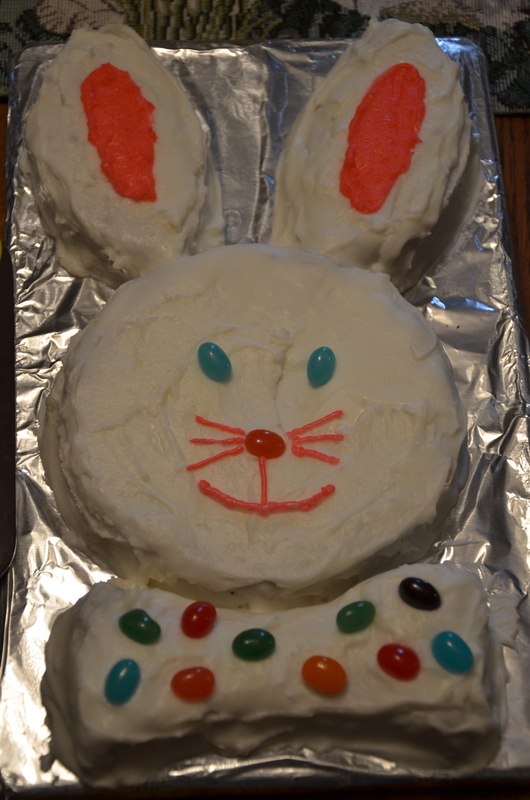 What are you making for Monday? PS – I’m going to Nourished – A Food Blogger Conference this Friday… decided last-minute to get a ticket and just go for it. There are workshops on food photography, recipe writing, and more. Watch out blog world, here I come! Posted on April 9, 2012 by Sarah @ Celiac in the City •	This entry was posted in Recipes: let's eat! and tagged gluten free asparagus recipe, grilled asparagus with lemon. Bookmark the permalink. 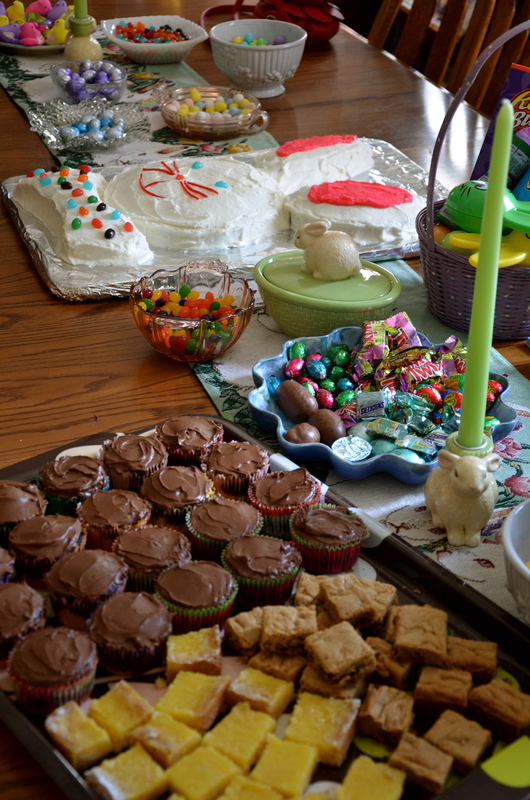 ← FRIDAY PHOTOS: Monkey see, monkey do — a gluten-free baby shower for not one but two!